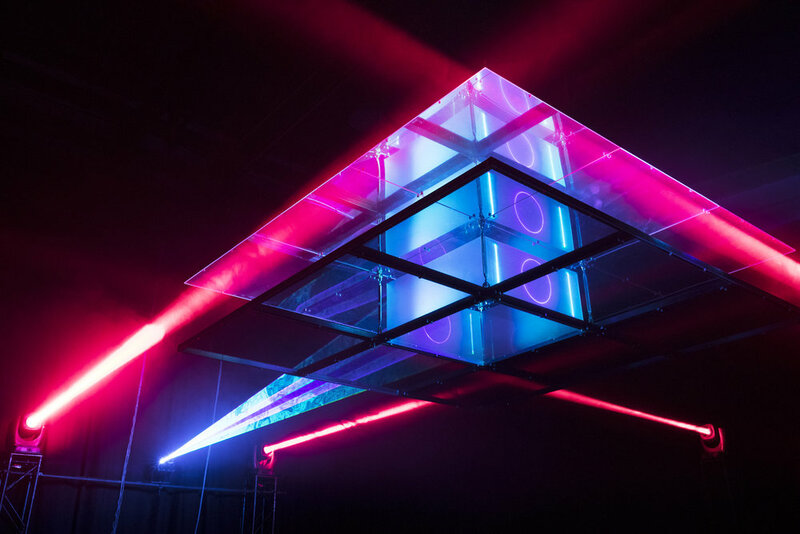 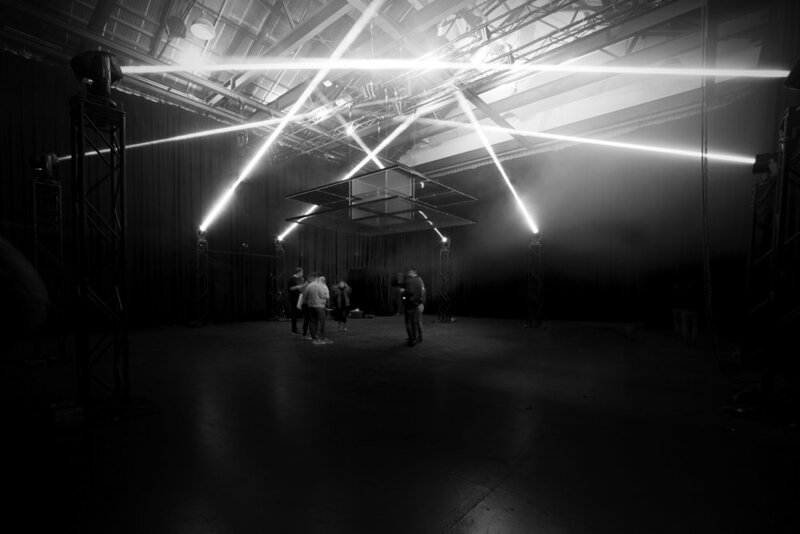 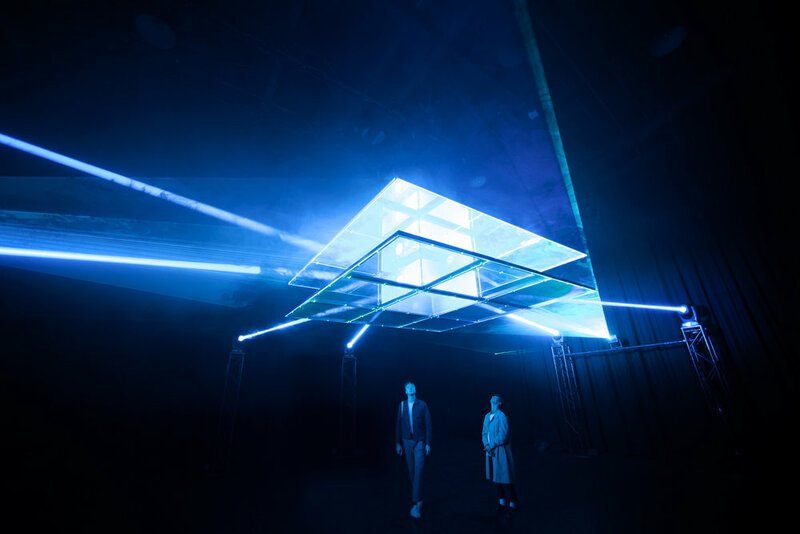 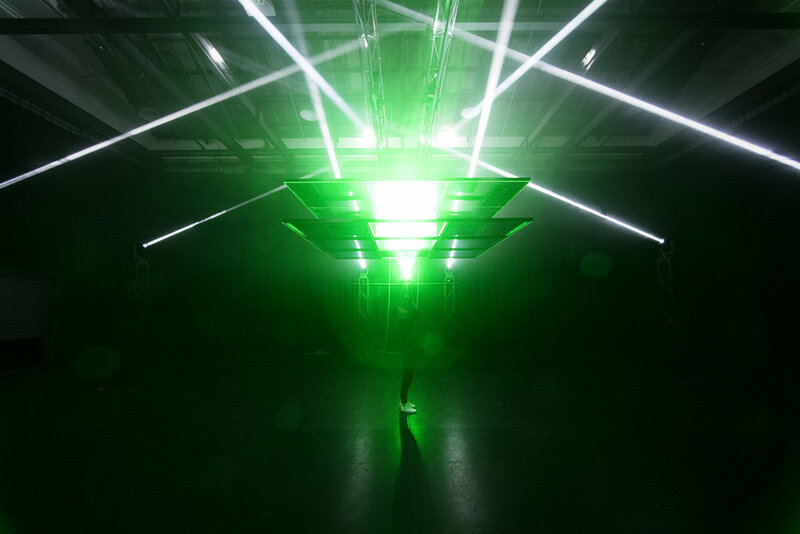 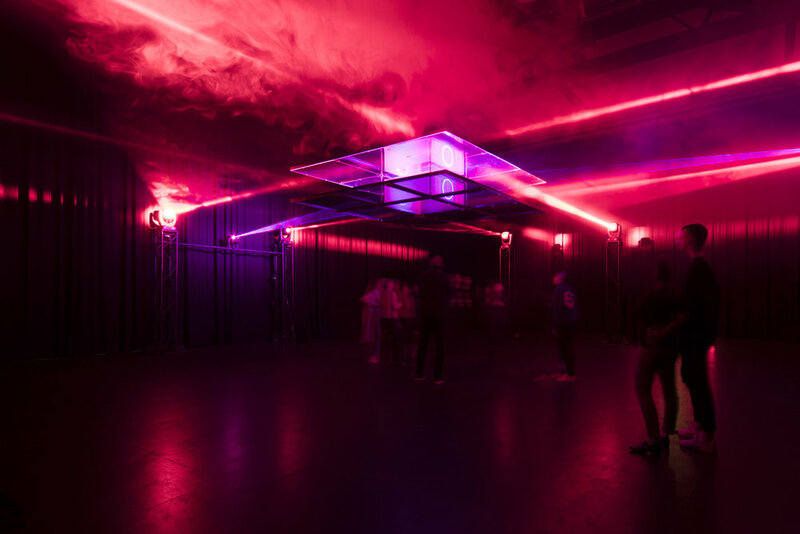 Created in line with the 2017 Semi-Permanent Design Conference, ‘The Aperture’ is a large scale laser & lighting installation that creates a disruption in our perception of light and space. 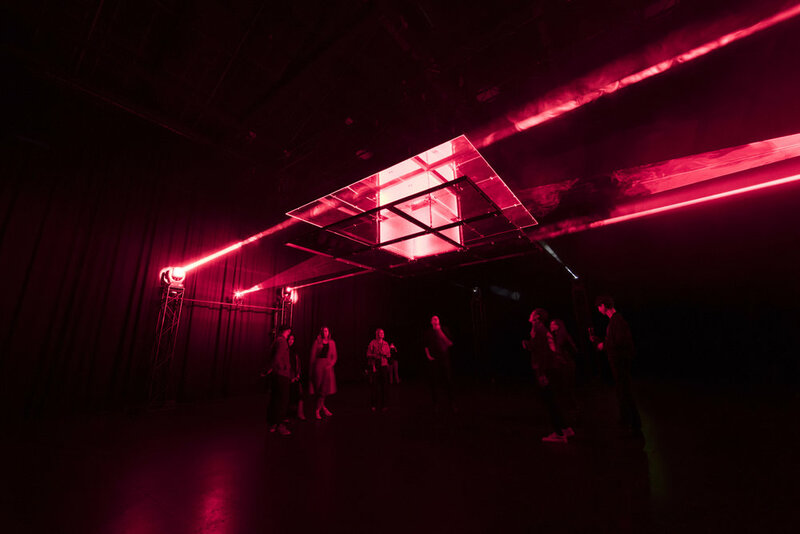 As the lighting passes between the 2x 3.5m mirrored screens, it is distorted and repeated to creates the illusion of an infinite portal. 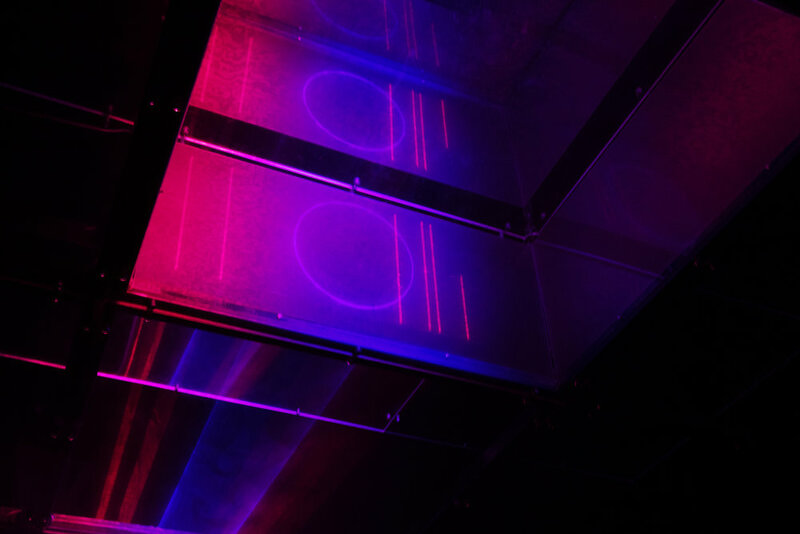 We collaborated with composer, George Nicholas, to create a sound scape that was sonically intense and intimidating. 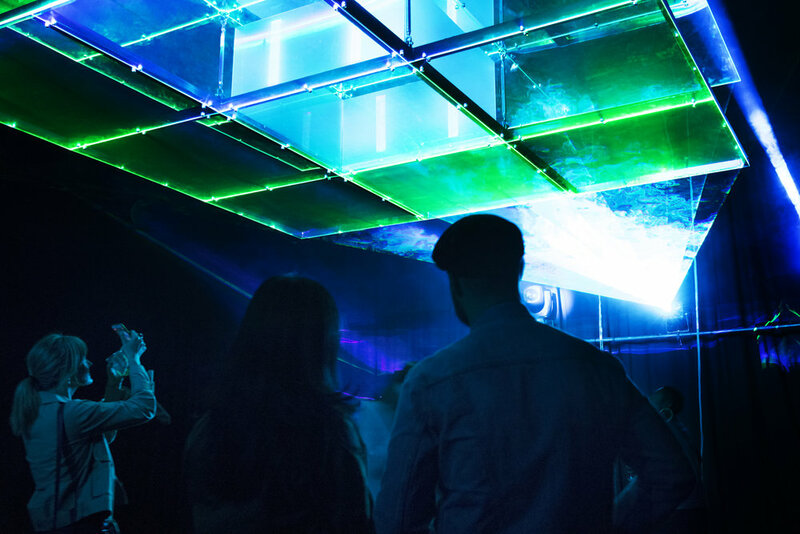 We created the lighting elements inline with the sound design to create a perfectly in sync audio/visual installation.